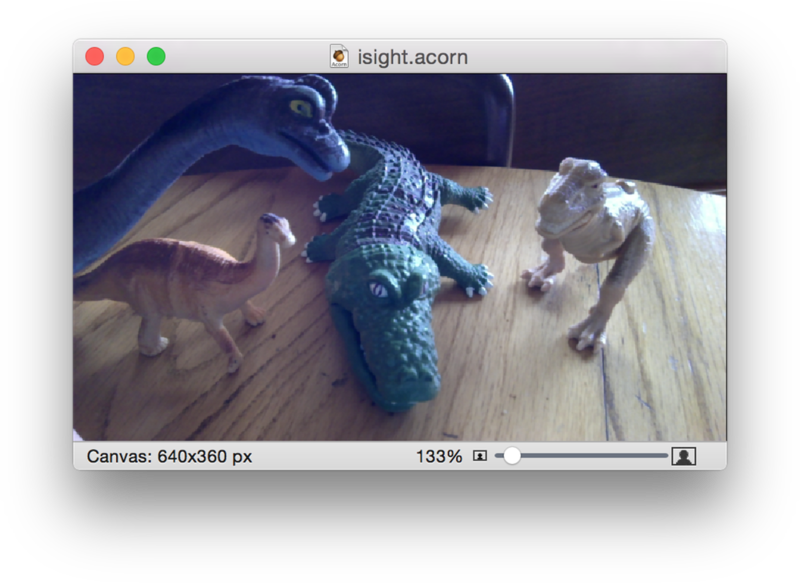 Using Acorn with iSight is easy. if you have iSight on your Mac and want to create a new image, go to Image ▸ New Image from Camera . iSight will be invoked and the image you take will be immediately brought into Acorn. If you want to create a new layer from an iSight image go to Layer ▸ New Layer from Camera.